Good Energy unbiased review: How do they compare? Also see: Good Energy for business. Are you keen on conserving the environment whenever you can? Then switching to Good Energy could be the answer. The main question, however, is apart from supplying green energy, how does the company measure up in terms of customer service and other benefits? Let’s take a look. 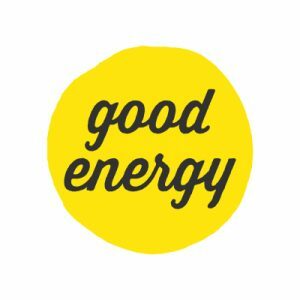 Good Energy was founded in 1999 and was the first energy supplier in the UK dedicated to providing renewable electricity 100%. Electricity from Good Energy is sourced from hydropower, solar, and wind. With its headquarters in Chippenham, Wiltshire, the energy provider has about 200,000 business and domestic customers. According to Good Energy, using their energy will reduce your carbon footprint by 50%. What is Good Energy’s Strongest Selling Point? The company’s biggest selling point is supplying you with energy that is 100% renewable. In this tariff, by installing an eligible system like a wind turbine, micro CHP (for power and heat), hydro, or solar PV (photovoltaic) technology for generating renewable electricity, you get paid. Are there any perks of switching to Good Energy? Let’s have a look. Which Offers and Reward Schemes Does Good Energy Have? The following are offers and reward schemes available to Good Energy Customers. By paying via Direct Debit, you save an average of £15/fuel annually, hence, if you are using dual fuel, you will save an average of £30. The National trust receives £40 annually per customer from Good Energy. All customers get to visit a property of National Trust for free. Good energy has undoubtedly very impressive credentials when it comes to green energy. So, where does it get its energy from? Let’s find out. What is Good Energy’s Fuel Mix? It’s main energy sources as aforementioned are from biofuels, hydroelectric, solar, and wind. The system the energy provider uses guarantees that a single unit used by Good Energy’s customers is equally matched by a single unit from renewable sources annually. Good energy does not use carbon, fossil fuels, or nuclear fuels. With that in mind, let’s compare Good Energy’s fuel mix against UK’s average fuel mix. Which Tariffs are Offered by Good Energy? The tariffs offered by Good Energy are as simple as they are straightforward. Let’s take a look. Domestic customers have two tariffs. Which Tariff Rates Does Good Energy Offer? The value of average bill refers to price average when it comes to the energy regions, which total to 14, using gas of 12500kWh and electricity of 3100kWh of Ofgem medium, with monthly payments via Direct debit and dual fuel. In some tariffs, customers are expected to pay a fee upon exit before the end of a contract. The fee per fuel ranges from £25 to £30. How Can You Pay Your Bills? Via Direct Debit-upon receipt of your bill, on a quarterly, or monthly basis. Bristol Pounds- a Bristol Pound is a digital and paper currency set up with a purpose of supporting independent Bristol businesses. Good Energy has an easy-to-navigate website. Inform Good Energy of change of tenancy. Good energy also has a mobile app that has a 4-star rating on Apple store. With the app, you can be able to submit your meter readings. Excited about Good Energy and can’t wait to switch? This is what you need to do. How Do You Switch to Good Energy? You will need to complete a sign-up form from Good Energy’s website. Alternatively, you can contact Good Energy via phone. Once you set up a payment method, a copy of your contract will be sent to you. Switching your energy supplier has never been easier. Fill the simple form at the top of the page and within no time, you could be up and running with your energy supplier of choice. On 23rd June 2018, Good Energy reported that they had raised an extra funding of £3.1 million and announced an over-subscription in their newest share offer. Good Energy also announced its plan to add 1 million customers to its 220,000 customers by 2020. In the 2018 customer survey by Which? Good Energy ranked 19 out of a total of 31 energy suppliers. The customer survey included 8,761 members of the public. This was a drastic drop from the 10th place it ranked in a 2017 survey. Although not many, some of the complaints touch on website issues, Direct Debits being higher than anticipated, and bills differing from meter readings. In 2017’s first half, 97% of the complaints received by Good Energy were resolved within 8 weeks while in the second half of the same year, 94% of the complaints received were still resolved within 8 weeks. In comparison, Ofgem data reveals that the number of customer complaints has significantly reduced since 2014. These mistakes do not happen often, and keeping in mind this company was once 2nd in the Which? Customer survey just a few years ago, it is likely that the company will regain their good standing once this problem is resolved. When you call Good Energy, an actual live person answers – no endless menu of options that takes you right back to where you started, no endless queues. And when that person picks up, they can solve your problem. Ah-mazing. They appear to be everything that is good and kind but in reality, our experience has been that they do nothing to help, difficult to get through, those who work there seem to have little flexibility to help – and most important of all, the lack of clarity in their bills means you never know if you are in credit or debit. Are you considering switching energy suppliers? It is almost certain that by simply moving to another supplier you will save quite a considerable amount on your bills. Contact us today for a tailored quote for all your energy needs.